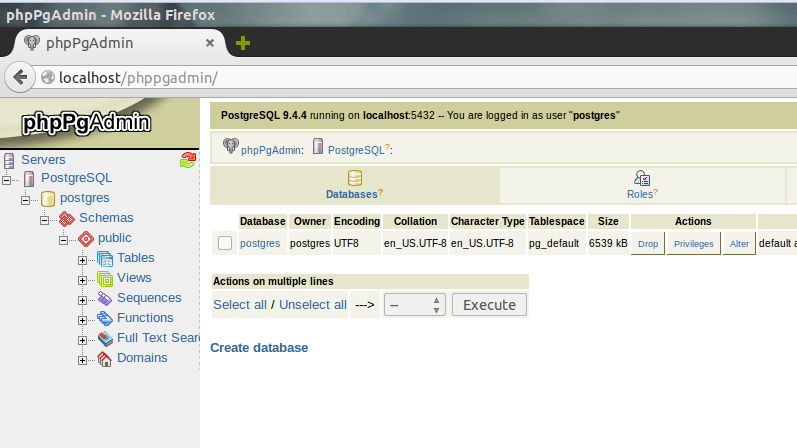 PostgreSQL is powerful high-performance object-relational database management system. 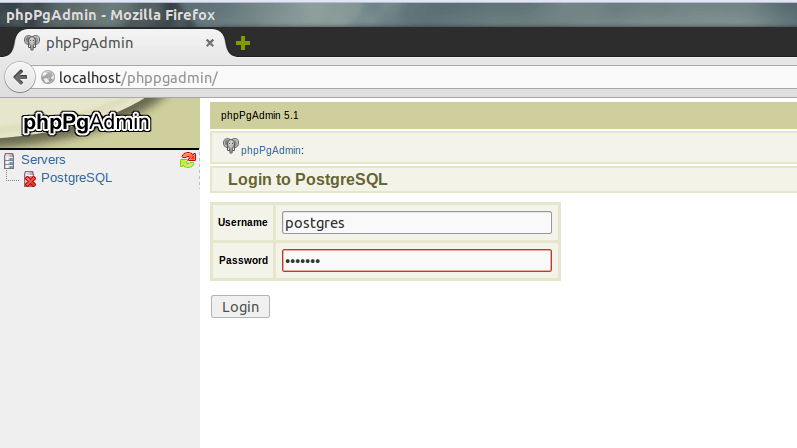 This tutorial is going to show you to install PostgreSQL on Ubuntu system. 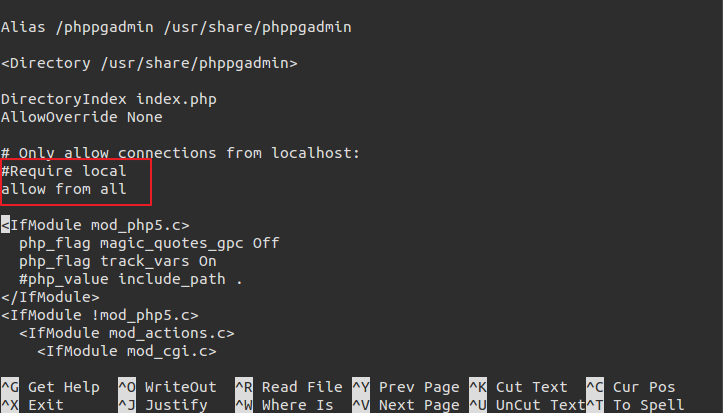 Also, I will show you how to install phpPgAdmin, a web based front end for PostgreSQL database. This tutorial is applicable to most recent Ubuntu version including Ubuntu 15.10, Ubuntu 15.04 and also Ubuntu 14.04 LTS. 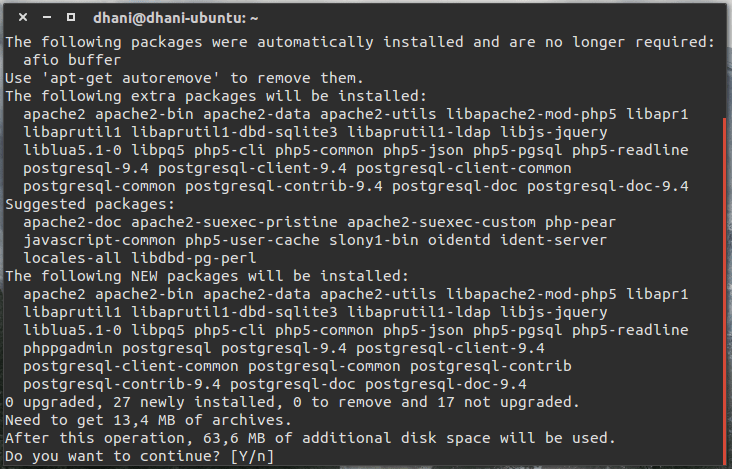 At this point we’re successfully install and configure postgresql server. Now we need to configure some other things. 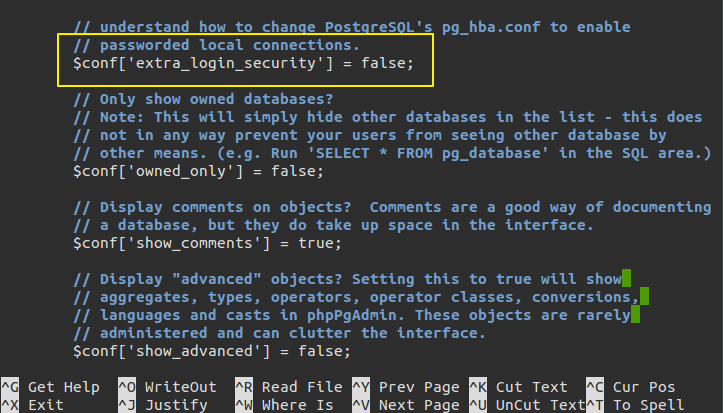 Find the line $conf[‘extra_login_security’] = true; and change the value to false so you can login to phpPgAdmin with user postgres. Change the value to false.